In a room at the five-star Oberoi hotel in central Delhi, Masako Ono is getting ready. She is about to perform in front of a hall packed with hundreds of Japanese and Indian businessmen. “Can you help me tie this?” she asks. “You must tighten it carefully so that I don’t drop it,” she says, referring to a belt bejewelled with small bells that fits around the waist of her bright turquoise pants. Ono has already spent over an hour making her eyes cat-like with a thick layer of eyeliner. Her arms, nose and neck are decked with silver jewelry, and now she looks every bit the traditional dancer of Odissi, the country’s oldest surviving dance form. She casts one last glance at herself in the mirror and then heads for the conference hall. When she steps onto the stage, the clinking of glasses and murmuring is replaced by a sudden hush. 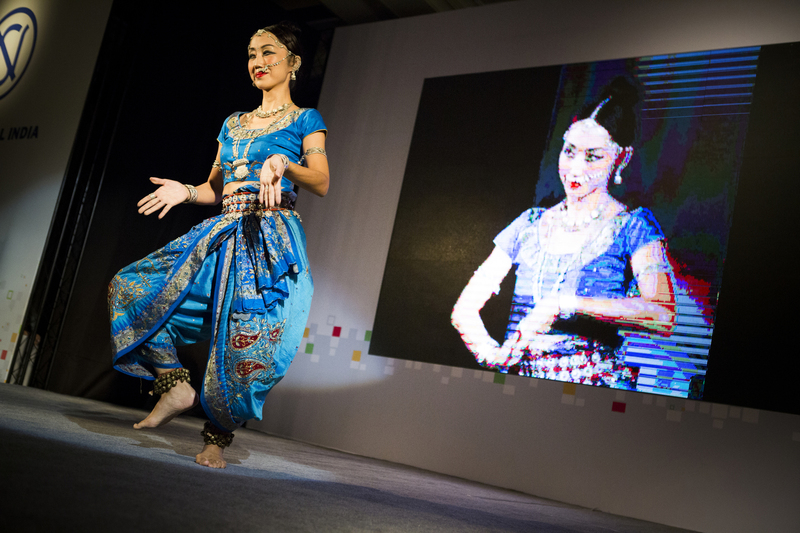 “Masako Ono is the first Japanese Odissi dancer,” an announcer says. “This is to show the strong cultural bonds between India and Japan.” Applause thunders around the hall. The path to the pinnacle of her art form has been long and tough for Ono. She is 43 years old and took her first dance steps when she was only 4. Born in Tokyo, Ono’s parents were fans of modern dance, so instead of forcing their daughter into pink tights and ballet class, they took her to a class run by a graduate of the Martha Graham school. This suited the young Ono, who says she was a bit of a tomboy compared to her friends. Dance played an important role in her parents’ lives. Although they were not professional dancers, they had fallen in love at a modern dance class in Tokyo. “I didn’t hate to dance, but it was more like my parents’ activity that I accompanied (them on),” she says. But Ono’s passion for dance grew stronger with age, and at 17 she discovered hip-hop. She loved it, and the dance started to occupy a large part of her life. 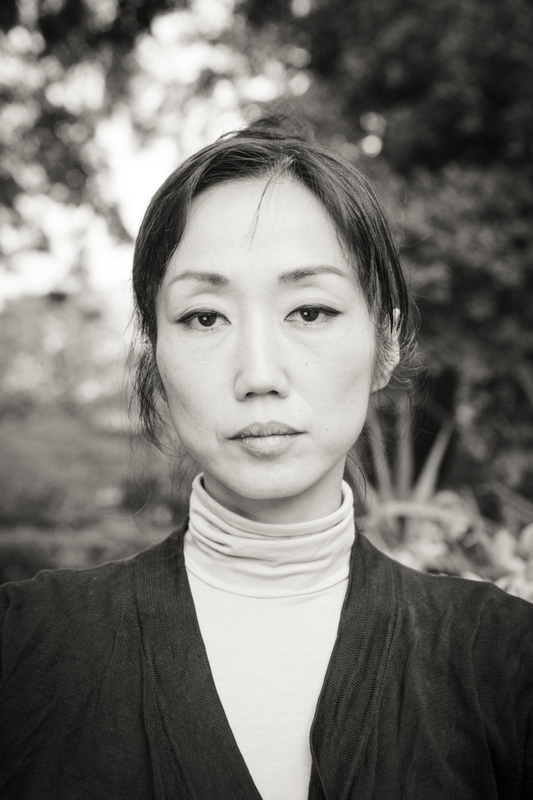 Ono began to dream of becoming a professional dancer, but she kept this dream to herself. Her father, who ran a marketing company, died during this period, and her mother started working in a French sweets shop to make support herself and her five children. Masako felt she had to work to contribute to the household, and was convinced that she wouldn’t be able to earn money in dance. The idea of becoming an architect was born many years earlier, when the 12-year-old Ono was shown a picture of India’s Taj Mahal in a social studies lesson. She had never seen anything like it in Japan and wanted to create something of her own one day. But life had other plans for her. Her application to a prestigious architecture course was turned down, and instead she chose to major in Indo-Pakistan Studies at the Tokyo University of Foreign Studies. Although the name may not be familiar to many outside the subcontinent, Odissi dance is probably the style considered most quintessentially Indian to Western eyes. It is distinguishable from other styles by its focus on the independent movement of the head, chest and pelvis, based on the idea of the Tribhanga, the “thrice-bent pose” seen in classic Indian art, where the figure is twisted into an S shape pivoted at the waist and neck. It also involves the stamping of feet and various other stances familiar from Indian sculpture. 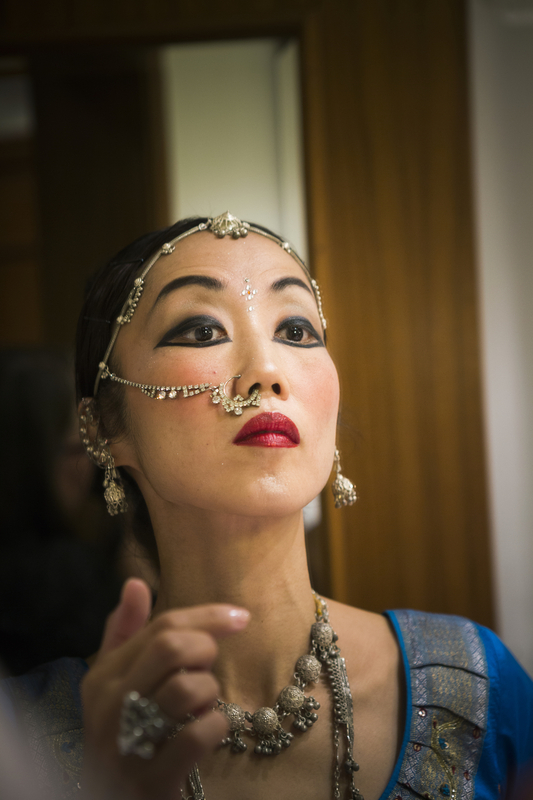 Ono visited the Indian Embassy in Tokyo, which recommended she study Odissi dance at Nrityagram in the south of India. Nrityagram, which means “dance village,” was the brainchild of the late Odissi dancer Protima Gauri Bedi, who envisioned a place “where nothing exists except dance.” There, students would live and intensively study one or other of the classical forms of Indian dance over a period of years. So, at the age of 23, Ono left everything in Japan and moved to India. She fell in love with the holistic approach of the school, where the schedule contained pranayama (breathing exercises), yoga, singing, gardening and much more. She stayed for five years but felt drawn to the dance’s birthplace, Orissa state, by a desire to learn Odissi dance at its source. In Bhubaneswar, the state capital, Ono met the love of her life, Manas Das. They were neighbors, and Das was one of the few people she met in the city who spoke English. He helped her when she needed to fix various things. He also proved to be an excellent photographer, and took pictures as she danced. Today, they work together and Das is her manager. They run a dance school in Bhubaneswar where they offer training in classical Indian dance, yoga and various modern dance styles. In 2009 they also started a trust — the Mudra Foundation — that focuses on promoting art and culture in underprivileged communities. Ono has now been living in India for 20 years. There is no doubt about her popularity in the country. 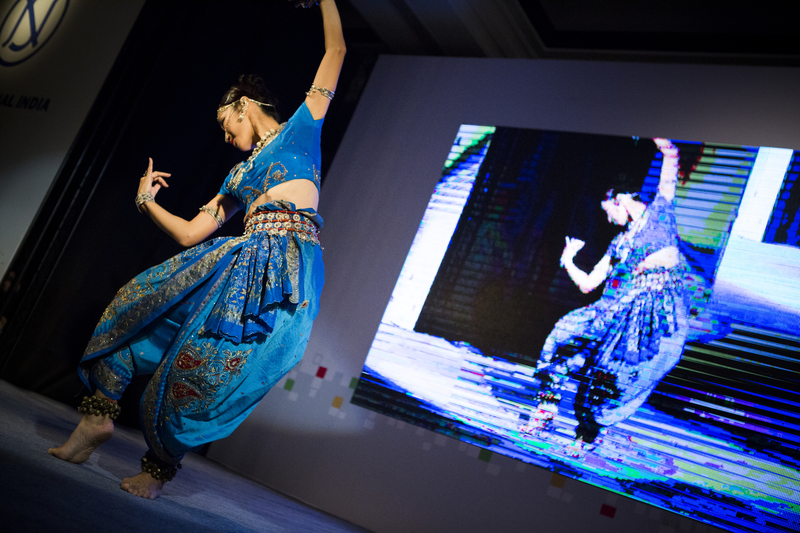 She is the only Japanese dancer recognized by the Indian Council for Cultural Relations as an “empanelled artiste,” which means she is one of only about 150 Odissi dancers considered proficient enough to be eligible for sponsorship for performances abroad. 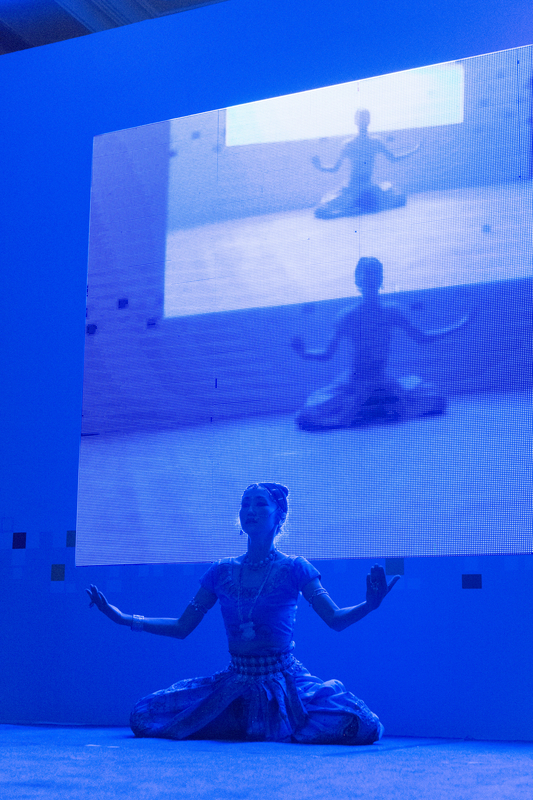 Over the years, Ono has performed or given lectures and workshops in more than 20 countries. 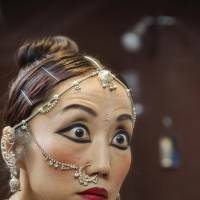 Ono is one of only a few foreign Odissi dancers in India. She was also named one of the 100 most respected Japanese around the world by Newsweek Japan in 2008, and was the subject of an NHK documentary. But the most important recognition, she says, came in December, when Indian Prime Minister Narendra Modi invited her to perform at a Ministry of External Affairs event in Varanasi during a visit by Modi’s Japanese counterpart, Shinzo Abe. For Ono, it was a dream come true to perform for two powerful world leaders, one from her native country, the other her adopted home. But she has to wait some years until she reaches her peak, she says. Ono says she feels equally at home in Indian as well as Japanese culture, but there are things she misses about her homeland. For instance, she appreciates the way Japanese people don’t judge depending on the amount of money you have in your pocket. In India, class distinctions are much more pronounced. Sushi and other Japanese food are also sorely missed. When on tour, Ono never passes up an opportunity to hop into a Japanese restaurant. But when she travels back to Japan every once in a while, she notices that Indian culture isn’t yet respected as much as it has become in Europe. To leave your homeland and start a new life in another country requires courage and perseverance. Ono sees herself as a role model for women in Japan and other countries. She is an inspiration to those who dare to follow their own path.